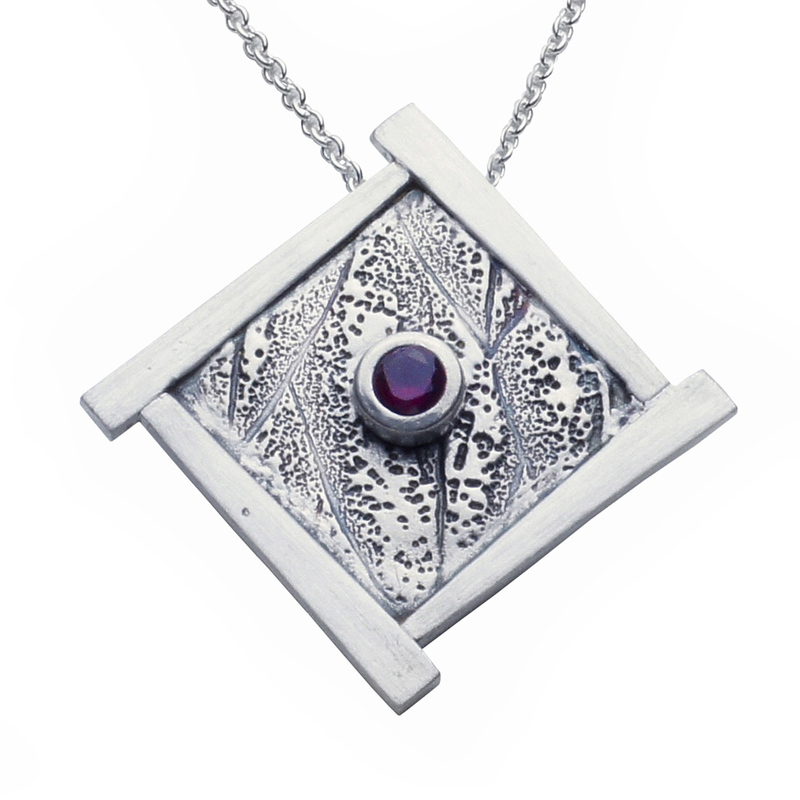 Leaf textured background and satin finished “chopstick” edges give this fine silver pendant a rustic Asian feel. 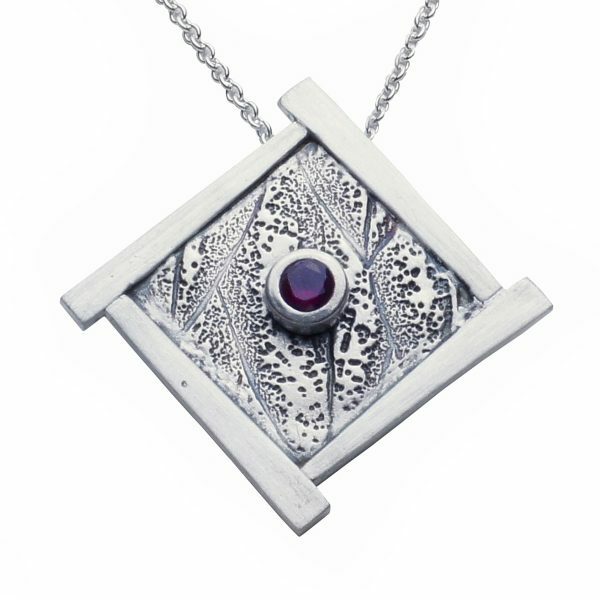 A 4mm Almandine Garnet sits as the centerpiece of this uncommon pendant. Added patina gives this piece a rustic, old world feel. 1-3/8″ wide by 1-3/8″ long. Garnet is the birthstone for January, and is found in the United States, Brazil, Australia, Madagascar, China, Sri Lanka and India. Almandine is the most common and the hardest form of garnet.